Prime Power, a Kansas City movie and production generator rental company, offers rental and delivery across Kansas, Missouri and the Midwest. We specialize in Movie Quiet generators for motion picture, television, broadcast and entertainment purposes. 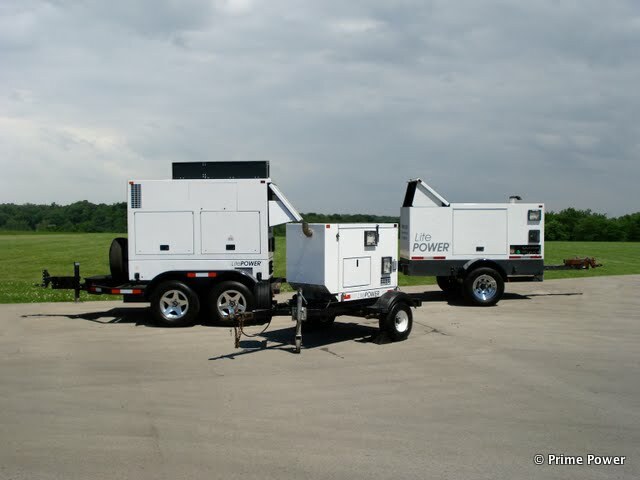 We carry many sizes of generators to handle different production needs. From the Lite Power Movie Quiet 140Kw with 1200 Amp output for entire sets to the Honda EU2000i for ultra portable electrical needs, our generators are meticulously maintained to insure optimal and dependable operation. At Prime Power we also offer scalable power distribution packages to cover many unique distro needs. Call or email today to create your custom generator rental package! Need to rent Grip / Electric Equipment? Visit Prime Light for custom gear packages.